Last week, Arivind and Ali from Chaos Created were interviewed in London by the Off The Wall Post team about Timedancer and transmedia. 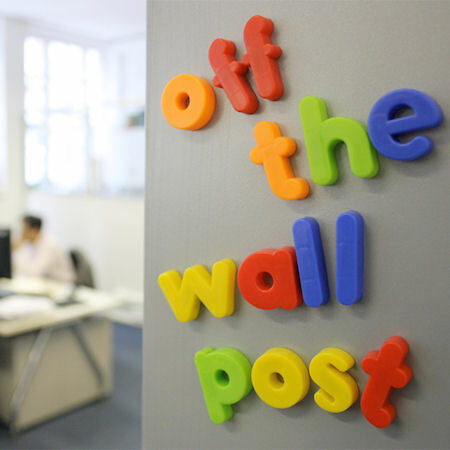 Off The Wall Post is a podcast featuring Dan Biddle (Multiplatform Producer for BBC Vision Social Media), Kat Sommers (Development Producer in the R&D Prototyping team at the BBC) and Barry Pilling (Director and animator of filmy things and Ex-Producer of Being Human and Becoming Human blogs for the BBC). They focus on social media, new media, mobile and the web. A bumper edition of Off The Wall Post was joined by Arivind Abraham and Ali Maggs of Chaos Created – an innovative UK start-up creating transmedia stories and interactive narratives. Their latest project – TimeDancer – weaves a time travelling mystery across app-isodes on Windows Mobile Phones and we delve into the challenges and charms of building an interactive video for mobile. Arivind and Ali share the history of TimeDancer, the present of Working with Windows Mobile and spill the beans on just how difficult it is to develop apps for iPads and how easy it is to get on the wrong side of Steve Jobs. Have a listen. We had great fun talking to these guys about what we’re up to, and we had a chance to show them Windows Phone 7 and give them a guided tour of the platform… We also went off on a large number of tangents but we did manage to reign ourselves in long enough to talk about the process of making Timedancer, how we dealt with story across several downloadable episodes and just how we managed to get a helicopter to jump through time. You can also learn about Timedancer’s convoluted history and how we settled on Windows Phone as our platform. Also we chat about the future of Timedancer and drop a few hints about our next project.